Uniquely positioned to take advantage of Nigeria's vast natural resources. Our people are the center of our present and future aspirations. Committed to empowering communities through education, while protecting people and the environment. Our robust portfolio of oil and gas fields is comprised of interests in onshore and offshore producing assets, across the Niger Delta basin and on the continental shelf. As international oil companies shift their focus even more to offshore projects, they are divesting their onshore assets, offering opportunities for indigenous independents to acquire reserves and resources. Our strategy is to continually grow our reserves through the development of our existing portfolio, and the acquisition of new assets through an ambitious expansion strategy. Our Vision is to be the leading indigenous exploration and production player on the African continent. OER is well positioned as a leading E&P player in the Nigerian Oil and Gas sector, as measured by our December 31, 2017 Independent Reserves Evaluation report. FY 2017 net average production of 40,188 boepd. 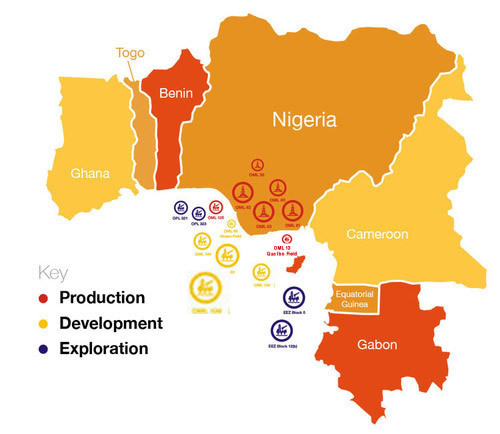 With a core objective of continuously growing our production and reserves, our focus is in the optimization of our existing asset portfolio and participation in governmental bid rounds in Africa, acquiring unutilized near-term production assets from International Oil Companies during divestment programs. Copyright © 2018 Oando Energy Resources. All Rights Reserved.